The Greater Toronto Airports Authority (GTAA) and Metrolinx have announced that they will be working together to study potential connections for the Kitchener rail corridor to Toronto Pearson's Regional Transit and Passenger Centre, in addition to other potential transit connections such as the Eglinton Crosstown West Light Rail Transit (LRT). This advancement of work to better integrate transit projects into Canada's busiest airport will help connect the country's second largest employment zone and reduce highway congestion. This partnership follows Premier Kathleen Wynne's recent announcement that the Province is advancing High Speed Rail and Metrolinx is moving ahead with an Environmental Assessment for next steps for a separation of freight and passenger lines in the Northwest Greater Toronto Area (GTA). This is a major and welcome development, as that separation will allow for both frequent GO Train service as well as High Speed Rail between Waterloo Region and the GTA. As part of the Environmental Assessment phase, Ontario is working with the GTAA to explore options to connect two-way, all-day service on the Kitchener GO line to the planned Regional Transit and Passenger Centre, a multi-modal transportation hub and passenger facility to be located at Toronto Pearson. •	Phasing considerations related to the above. "Toronto Pearson is Canada's gateway to the world and a key driver of jobs, trade and tourism," said Howard Eng, President and CEO of the GTAA. "The GTAA is committed to working with Metrolinx to improve transit. These studies will help to connect our region for the benefit of passengers, airport workers, local businesses and residents." "We are excited to be moving ahead with our partners to explore all options available. By strengthening connections among communities along the innovation corridor between Kitchener-Waterloo, Pearson Airport and Toronto, we will work to deliver faster, more frequent service for our customers," said Phil Verster, President and CEO of Metrolinx. In 2017, the GTAA announced plans for a future transit and passenger centre at Toronto Pearson. There is an identified need to better connect the region and to serve the 49,000 workers who are based at Toronto Pearson and the 300,000 people who work in the airport employment zone, the second highest concentration of jobs in Canada. 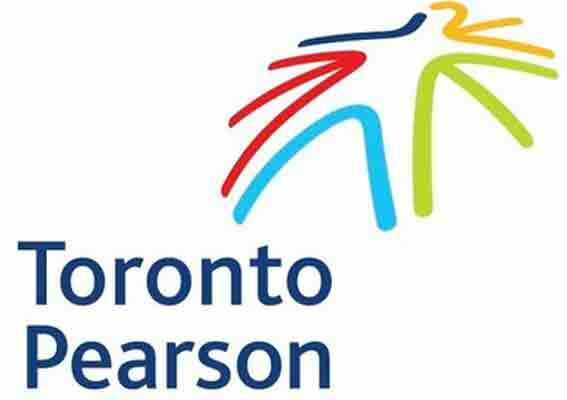 The GTAA is the operator of Toronto Pearson International Airport. Toronto Pearson is focused on becoming the best airport in the world; enhancing the passenger experience, safety, security and supporting the success of our airline partners. Welcoming 47.1 million passengers in 2017, Toronto Pearson is Canada's largest airport and second busiest North American airport for international traffic. Through the Province's Moving Ontario Forward plan, the government is investing in improvements across the GTHA to increase transit ridership, reduce travel times, manage congestion, connect people to jobs, and improve the economy. In addition, Metrolinx, an agency of the Government of Ontario under the Metrolinx Act, 2006, was created to improve the coordination and integration of all modes of transportation in the Greater Toronto and Hamilton Area. The organization's mission is to champion, develop and implement an integrated transportation system for our region that enhances prosperity, sustainability and quality of life.